I was recently asked by the team at Bleacher Report Football to contribute to a mural that was to be painted in Shoreditch, London ahead of the World Cup this year. 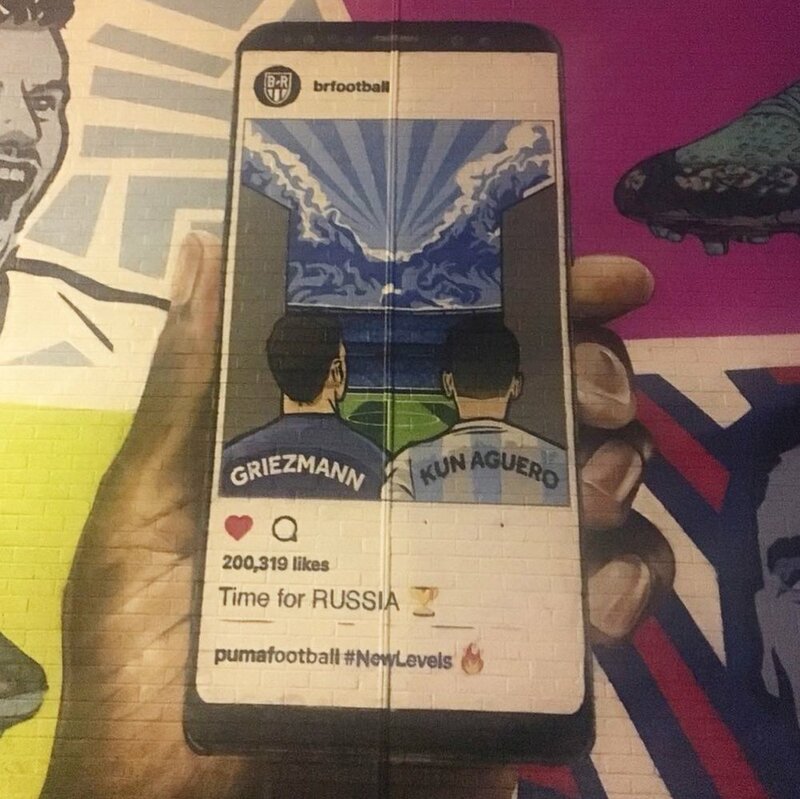 The brief was to show Griezmann and Aguero looking out onto a packed stadium/pitch. Below is how things turned out.